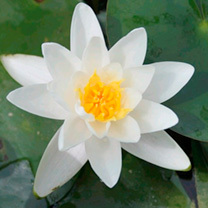 Britain’s only native water lily has handsome green foliage and white, but not prolific, flowers. Best grown about 1 metre deep, but it can grow in up to 3 metres of water if allowed to adjust very gradually, since its growth rate at these depths will be significantly slower. 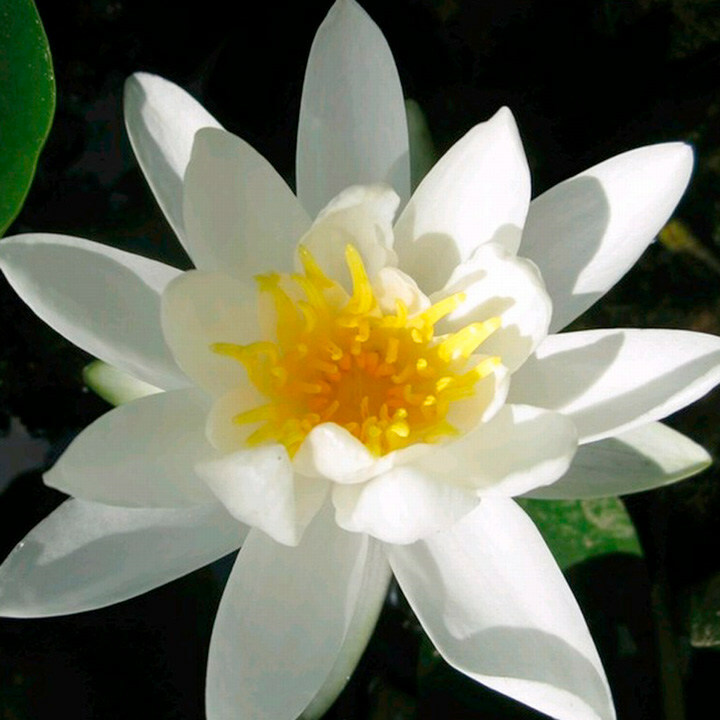 Plant in still water away from splashing fountains. Lower gradually so the leaves can stretch to the surface within a few days. Remove dead leaves and flowers during the growing season. Flowers June-September. Minimum spread 80cm; maximum spread 150cm. Native. Large growth rate. Supplied in a 1 litre pot.